Lovton blends beauty and comfort with fantastic practicality. Lovton blends beauty and comfort with fantastic practicality. 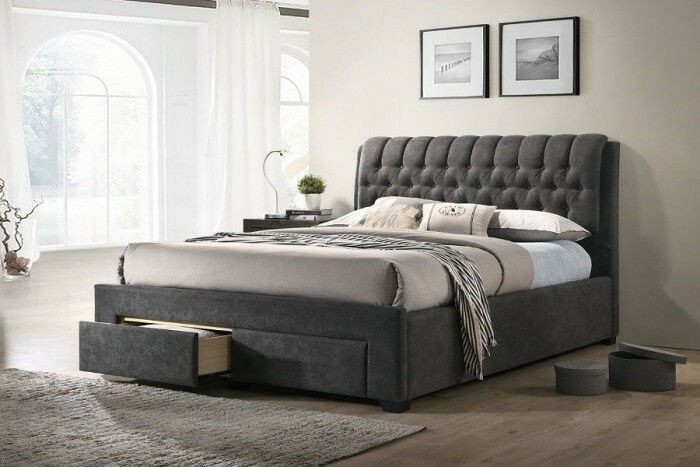 Imagine resting your head against its deeply cushioned headboard as you sit back and relax with a good book or the morning paper! 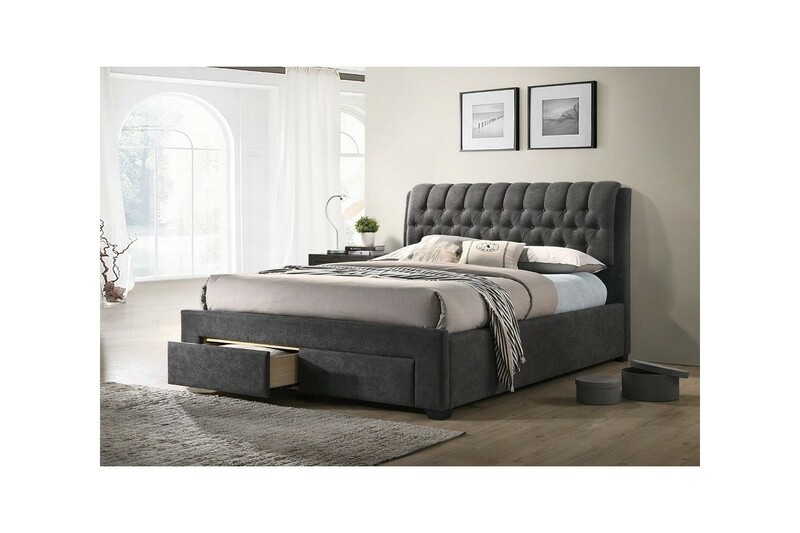 This big and beautiful statement piece is built and upholstered to consistently high standards and will give you years of comfort and service. 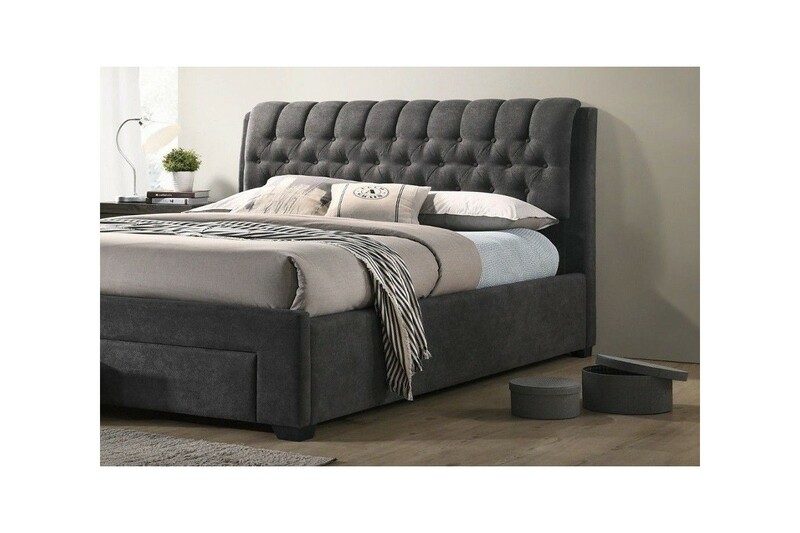 In a choice of either a 4’6 Double or 5’0 King Size widths, this lovely, dark grey bed frame also features handy storage space in the two drawers at its foot which do not compromise with the looks.